WEBINAR “MAKING MONEY LISTING,IINVESTING AND SELLING MID-SIZE #APARTMENT BLDGS"
Please check out my webinar this staturday to learn about “MAKING MONEY LISTING,IINVESTING AND SELLING MID-SIZE #APARTMENT BLDGS"
Knowing something about each of these IRS real estate investing concepts will permit you to intelligently implement a sound tax program. With the assistance of a competent tax advisor, your tax savings will be significant. Learn From CDs While On The Go! Each album consists of one or two CDs plus a workbook. 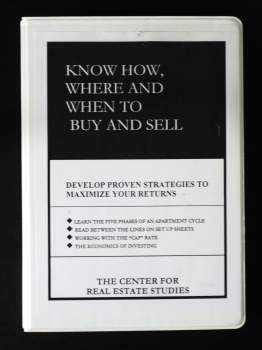 Real Estate Investment Books for sale. Check out safely with PayPal today! 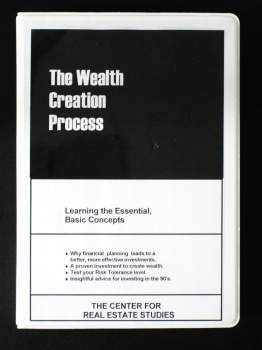 Discover how new chronological wealth building strategies are used to attain your goals. Discover your own risk tolerance level. Master five specific techniques to gain control of risks. Find out why most investors can't become wealthy earning 20% per year. Learn proven methods to turn your investment goals into measurable, achievable realities. Utilize real estate cycles profitably. Learn an analytical approach to finding top-notch locations. Read "between-the-lines" on property set-up sheets. How to maximize returns in your marketing program. Proven sure-fired methods to determine when you have a "real" buyer. The 8 essentials of a powerful newspaper ad. 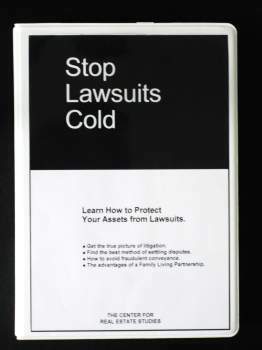 Discover the "only" asset protection plan you'll ever need. Make yourself judgement proof. Learn new ways to substantially reduce the cost of liability coverage and why your assets are not safe from creditors in a living trust. Discover how to "Control" and not "own". Are you interested in getting the best professional advice available at the lowest possible cost? Specific pointers to protect yourself when working with top consultants. 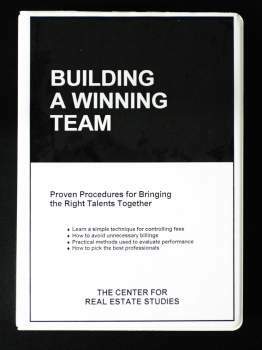 Key questions to help you evaluate each member of your team. Down-to-earth advice on controlling fees. Practical methods to negotiate the maximum profit when you buy. Learn the two key elements that characterize an effective price and terms strategies. Recognize eight successful down payment tactics. 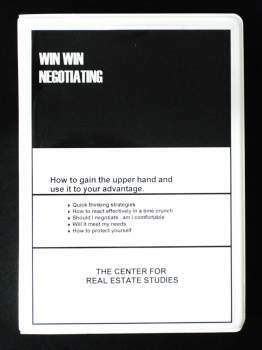 Discover how to protect yourself when negotiating. 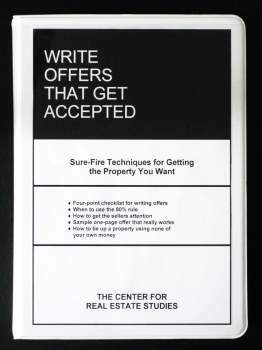 How to make effective offers and counter offers. 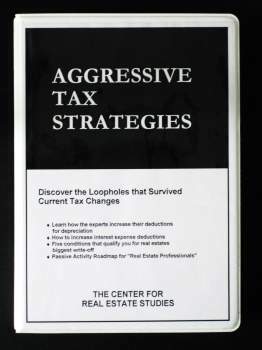 A thorough guide to understanding IRS rules for converting real property into personal property. How to identify one of real estate's biggest write-offs. How to deduct accrued interest when you're on the cash basis. Learn techniques on how to increase the maintenance expense and depreciation deduction. How to get a $25,000 write-off each and every year. 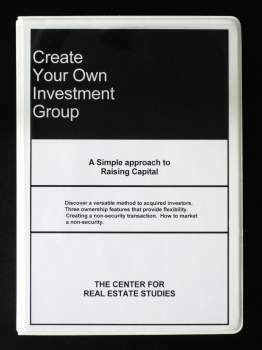 Discover an easy, novel, step-by-step method to acquire investors. Contains many ownership features that give you flexibility in estate and income tax planning. Learn a new advertising program. In-depth discussion on how to participate in profits without being an owner. 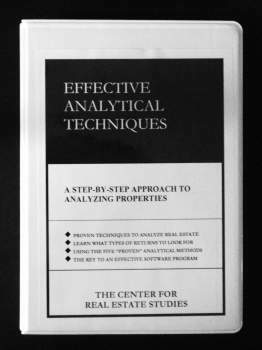 Invaluable guide to finding the key figures used in properly evaluating investments. Learn the ten essential questions to ask about location. Discusses the 6 factors that change capitalization rates. Learn how to use comparable sales information in down markets. A detailed approach is presents on the five methods used to appraise properties.